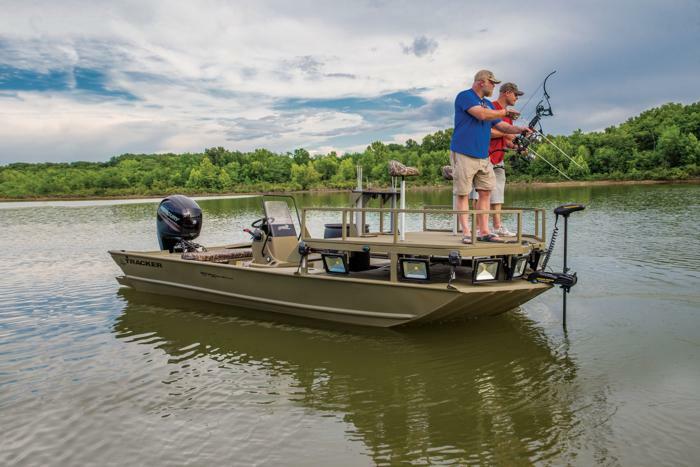 A rugged beast of a boat built for bowfishing, the TRACKER® GRIZZLY® 2072 CC Sportsman is the apex predator for hunting fish on the river, bayou or lake. 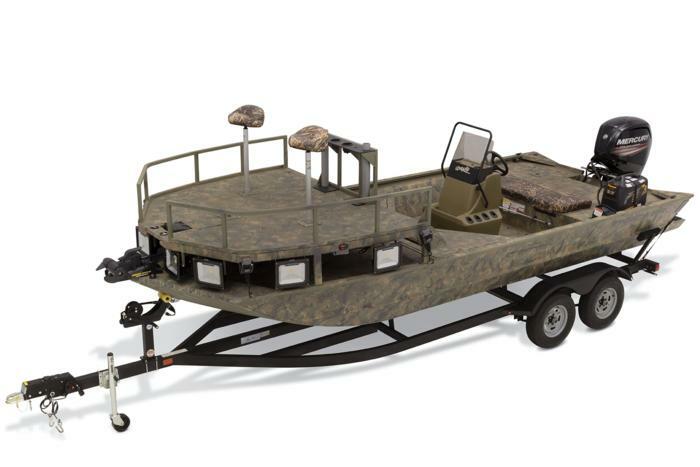 The removable, elevated deck gets you up high for more accurate targeting with a bow and less deflection for your arrow—and 8 super-bright LEDs illuminate your quarry with 40,000 lumens. And with the deck removed, it makes an excellent craft for any type of fishing, even in bigger lakes and bays.